DAVID LE/Staff photo. 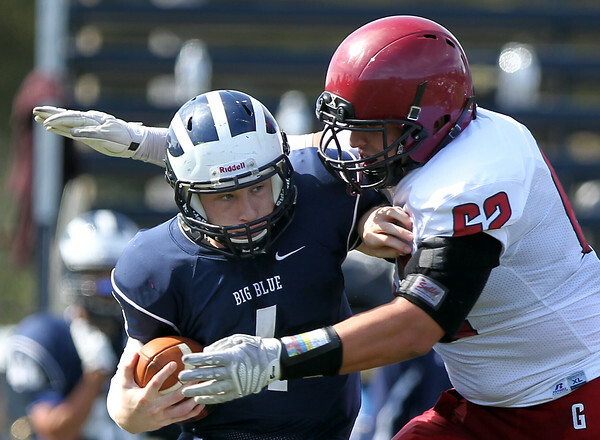 Swampscott senior quarterback tries his best to duck out of a sack from Gloucester's Jacob Emerson (62). 9/26/15.